Sozio will celebrate its 260th anniversary by introducing its new identity. 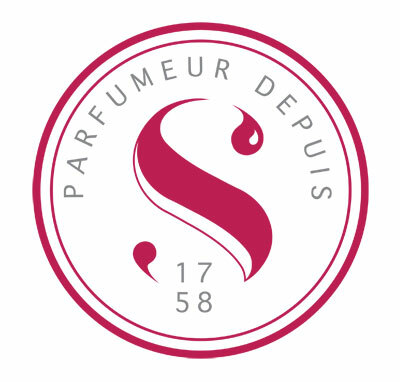 The French fragrance house, is scheduling to unveil its new logo during industry trade shows throughout the year. The new identity comes amidst an exciting period of growth for the company. In honor of Sozio’s Grasse heritage, the “S” of Sozio was adorned with two plumes of fragrance as an ode to J&E Sozio owners; Joseph Sozio and his son, Ernest. To sublimate this “S”, two drops have been added to personify the duo but to also represent the precious elixir of perfumery. Additionally, the logo has been designed with a darker, more intense pink: elegant and modern; and a more vintage, graphic capital “S”. To preserve the DNA of handcrafted perfumery, Sozio wanted to symbolize this savoir-faire with a seal. This seal will be incorporated in all of the new communication documents. Sozio will also introduce a new and innovative communication plan to create greater market visibility and a stronger industry presence. Family is a woody leather fragrance reminiscent of the history of perfumery. Savoir-Faire symbolizes our custom, handcrafted history with a complex chypre scent. Our Natural identity is represented by fresh floral green accords. Our Flexibility is personified with a fresh and bright citrus duo which illustrates our ability to fulfill and deliver on a large array of customer requests. To demonstrate our Global Diversity, an exotic oriental fragrance was developed to signify inclusivity. Sozio welcomes you to join us on a sensory journey at our experiential booth which showcases our passion for perfumery and our creativity.